Tracy Slater is known in the Boston area for creating the reading series Four Stories. 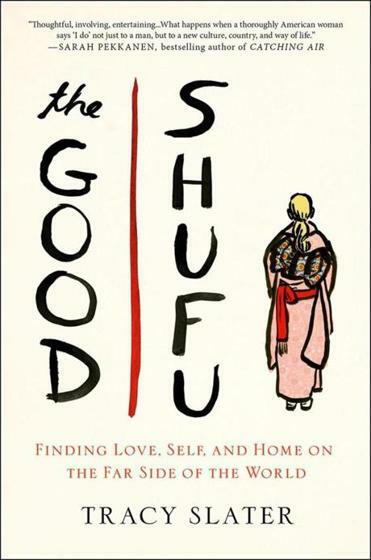 “I always began my morning firmly rooted on the exact path I had scripted for myself,” she writes in “The Good Shufu,” shufu being Japanese for housewife. That path began in her South End studio apartment, which she financed by teaching writing to graduate students and prison inmates, with business writing on the side. Plenty of women have made similar pledges and broken them, but Slater’s retrenchments are more epic, spanning continents, cultures, and languages. She relates them in pleasingly earnest, self-reflective, and sometimes amusing ways. 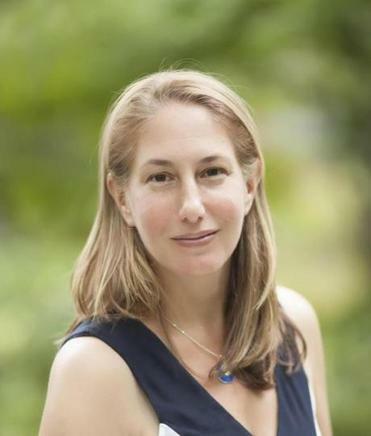 Fans of her older sister, local author and psychologist Lauren Slater, will appreciate the additional insight into the fractured family that both siblings examine. She finds herself drawn to Toru, a 31-year-old Japanese salaryman from a liberal family, appreciating his sculpted cheeks, muscled forearms, and unhurried gestures. “Between my failures in the classroom and my disorientation in Japan, Toru’s shy sincerity washed through me with bright relief,” she writes. Slater explains how native Japanese speakers can’t differentiate between “v” and “b” or “r” and “l”, so by the time Toru tells her “I lub you,” there is no sense of mocking or patronizing, only tenderness. At times, the cynic in me thought, really, you, a relisher of words, can plan a future with someone you can’t fully communicate with? But feeling safe, loved, and connected, as she comes to feel with the unflappable Toru, can override daunting obstacles. I do wish Toru’s character had been more fully fleshed out, his likes and dislikes brought more to the surface, so I would have come to love him as much as Slater does. Toru’s familial role is clear — as the eldest son, he is obligated to take care of his unexpectedly widowed father. The book hits its stride during Slater’s lengthy visits to Toru’s home in Osaka, where she experiences the otherworldliness of the expat existence, dependency on a man for almost every need because of the language barrier, and a confounding culture that includes strict codes of politeness, gender divisions, teeny living spaces, and high-octane electronics stores. Even after the couple marry and try to have a child, Slater continues to visit Boston for weeks at a time, a practice that becomes more complicated as they travel the slippery slope of fertility treatments in Japan, continually moving beyond where they’d earlier pledged to stop. Meanwhile, she constantly frets about her potential as a mother, a role she hadn’t envisioned before meeting Toru but comes to crave. The reader knows Slater need not worry. As we witness her caring for her ailing father-in-law, her nurturing abilities become clear. While unable to converse, the two share an easy affection that deepens in his final months and gives the book greater heft. The scenes of his decline are heartbreaking, touching, and revelatory. This — the caring, the interdependence, the joys and sorrows — is what creates a loving family and a home, wherever you are. Diane Daniel, a freelance writer living in the Netherlands, can be reached at bydianedaniel.com.